My Christmas in Charleston was pretty low-key this year. I had just had surgery and my mom had just had surgery (I know right?! 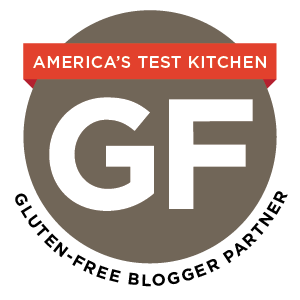 We’re hoping for a calmer New Year…), so we were in full-on get better mode. Still, there are some non-negotiables when I visit my mom. Spending hours at Goodwill has to happen. This visit, I learned that the Goodwill by my Mom’s house is ON THEIR GAME to the degree that they send out emails everyday with info on what will be on sale. So, that’s obviously a must do. Another thing that is on its way to becoming a tradition for us is lattes at Black Tap Coffee. I’m not typically a latte person, but Black Tap has a rotating cast of really unique flavors like lavender and brown sugar, the latter of which I fell totally in love with. I have a culinary weak spot for when sweeteners take center stage as a flavor–date shake, maple panna cotta, honey ice cream, these sorts of things. 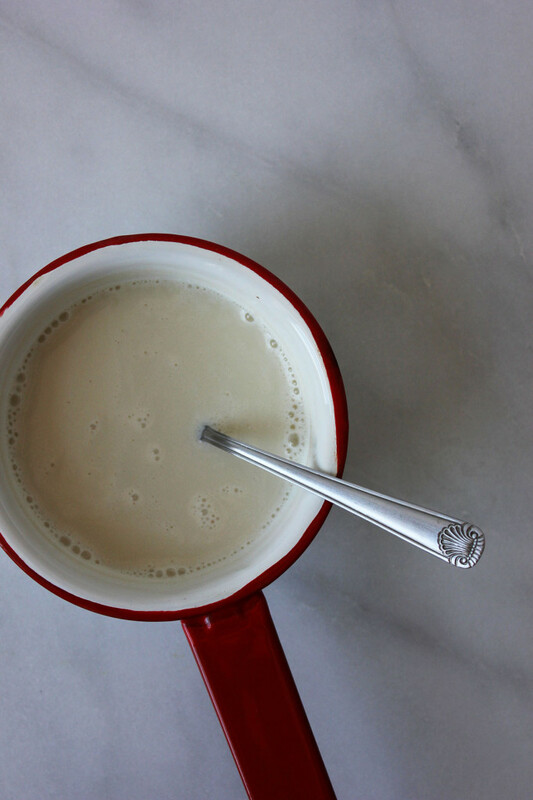 It was just so darn cozy and delicious, that I had to try to recreate the brown sugar latte at home. 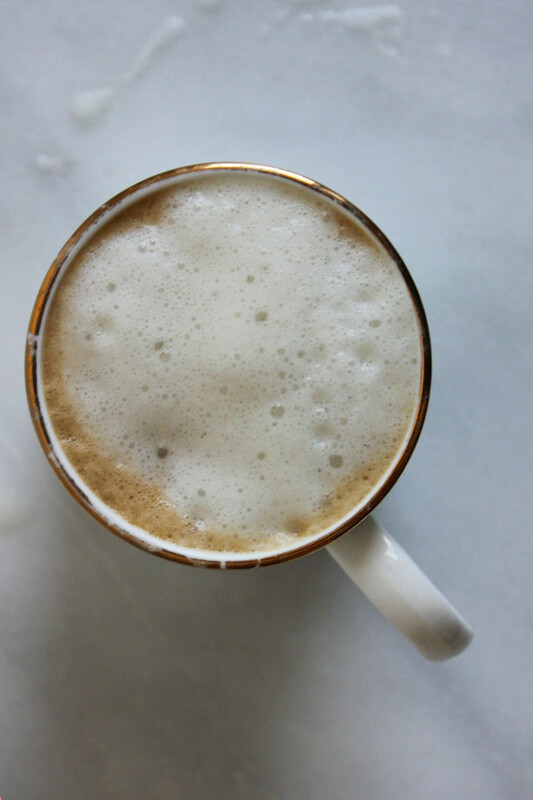 I’m including the recipe I used for Brown Sugar Simple Syrup, but I realize that your home coffee set-up will dictate just how you put it to use. I have an itty-bitty stovetop espresso maker, a little milk pot, and a handheld milk frother. So, I made my espresso and heated 8 oz of almond milk on the stove, frothing the milk once it was warmed. Then, I poured the espresso in a mug, stirred in 2 tablespoons of brown sugar syrup, poured in the warm milk, and finally spooned some foam on top for added fanciness. If this is more than you have on hand or you much prefer drip coffee, play around with using this syrup in place of your usual coffee sweetener. It’s deceptively simple, but the caramel-y brown sugar flavor really adds a lot. Bring the water and brown sugar to a boil over high heat, stirring occasionally until the brown sugar dissolves. Transfer the syrup to a glass bottle or jar and store in the refrigerator until ready to use. Disclosure: This post contains amazon affiliate links. I will receive a very small commission for any purchases made through amazon links in this post. Love the simplicity to this! It sounds great! Oh my yum. We’ve only got drip coffee but I bet it would be amazing with this magic syrup. I used to make a brown sugar coffee syrup, but would also add some salt to it for that salted caramel flavor. I haven’t made it in years, but I think I will now. Thanks! Oh man, such a great idea, Candy! I think I’ll experiment with stirring some salt into half of my syrup to see how it is. Thank you. I’ve recently become a serious coffee convert so I’m super excited to see this. It looks simple but super delicious! Can’t wait to try it! Thanks, Kim! That is what totally struck me about that particular flavor. It’s super simple, but so good! Oooh thank you for reminding me of the milk frother I have. I never thought about using it with almond milk but this sounds perfect. 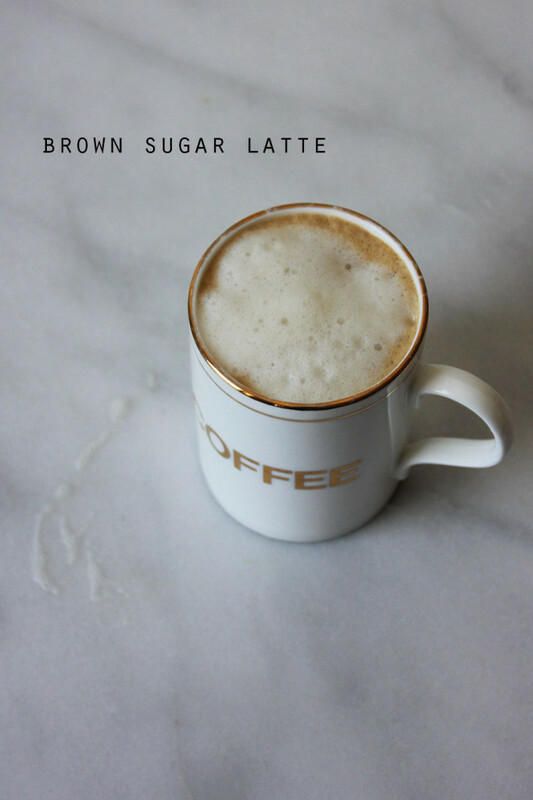 So in love with the idea of a brown sugar almond latte! Autumn : small stovetop espresso pot as Kelly : ? whereas ? = espresso machine she bought while a Starbucks employee. So it may have sat in a box for 5 years until just recently when I finally set it up on the counter. I’ve just been making plain lattes, but this is just glorious. As is the idea of adding more aromatic flavors like lavender. I’m so glad you had a relaxing time in Charleston. You more than deserved it!! I had the lavender latte when I went to Black Tap. Oh man, it was so good! This one also looks fantastic, and I can’t wait to try it at home!